The motto here in Dana Point, CA, is “harboring the good life.” Dana Point is one of very few harbors in Orange County, plus it’s a gorgeous surf spot, so it attracts many pro and amateur surfers each year. 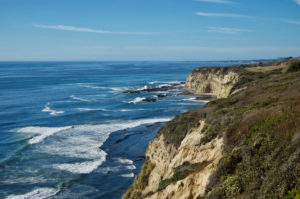 Dana Point Headlands also attracts many visitors who love to stroll on its nature paths and have picnics among plenty of fascinating native plant species and breathtaking views of the sea and harbor. Wherever there’s a lively tourist scene, there’s bound to be plenty of restaurants to serve them. 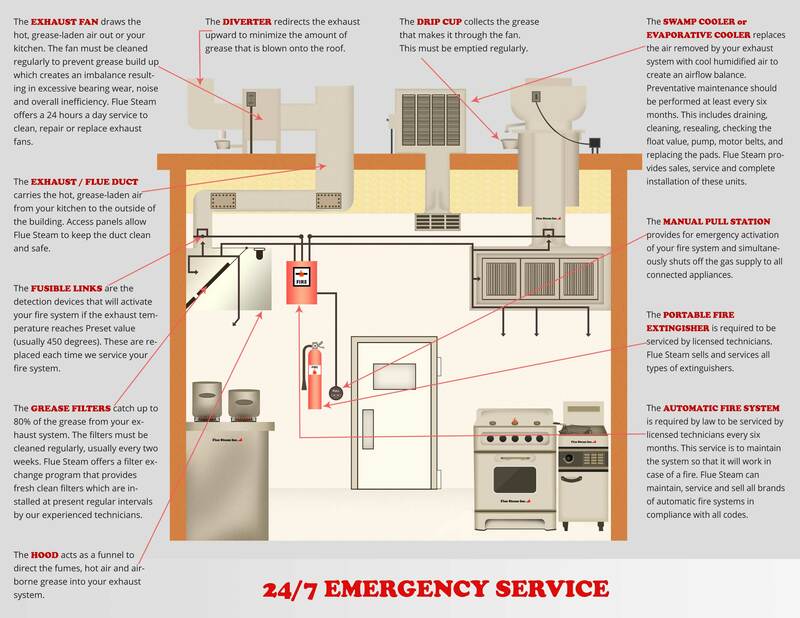 If you own or manage a restaurant in Dana Point, CA, make your life easier by signing up for high quality, affordable commercial kitchen air control and fire prevention services from Flue Steam. We’ve been serving all kinds of commercial kitchens throughout Southern California, including Dana Point, since 1971. Rest assured that your kitchen will be in great hands with our experts! Partner with Flue Steam to ensure your commercial kitchen complies with the law, reduce your risk of flash fires, and provide your employees and customers with a totally safe environment. You’ll be so glad you did! We recommend signing up for monthly hand scraping services with 2-4 supplemental steam cleanings per year. Hand scraping involves simple, effective, and affordable hand scraping of all accessible grease on your exhaust system. Steam cleaning more thoroughly cleans your exhaust system, but it involves more of an investment in time and capital. Utilizing hot, high-pressure water to remove grease, it’s the perfect supplemental way to make sure every inch of your exhaust system is squeaky clean. After each cleaning, we’ll provide a Certificate of Performance sticker that’ll keep code inspectors and insurance companies satisfied. You may even save money on your insurance bills when inspectors see our stickers on your exhaust system. Count on Flue Steam for a thorough cleaning of your exhaust system every time. Many other companies focus mainly on your range hood, but we meticulously strive to reach every little nook and cranny of your entire exhaust system to ensure it’s absolutely pristine when we’re done. We want to make sure your commercial kitchen is safe and your exhaust system is drawing properly, so we’ll also include an exhaust fan inspection at every cleaning visit. Our technician will check all the belts and other parts and grease your fan bearings. If your belts have become worn out and you have a replacement readily available, we’ll install it at no charge to you. This ensures your exhaust fan draws properly so you’re entire system will stay cleaner longer. Partner with Flue Steam today by calling 800-700-FLUE.